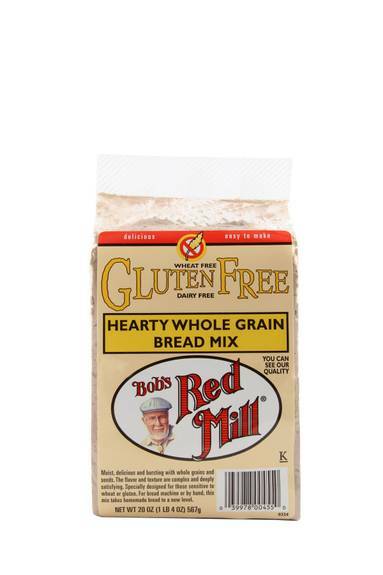 Bobâ€™s Red Mill Gluten-free Hearty Whole Grain Bread Mix Makes Moist, Delicious, Homemade Bread. The Flavor And Texture Are Complex And Deeply Satisfying. For Bread Machine Or By Hand, This Mix Takes Bread To A Whole New Level. Now, Itâ€™s Specially Designed For Those Sensitive To Wheat Or Gluten. Bobâ€™s Red Mill Believes In Preserving Nutrition Through The Tradition Of Old World Quartz Stone Milling. Includes One 20 Oz. Bag. See Nutrition Facts Panel For Allergens.